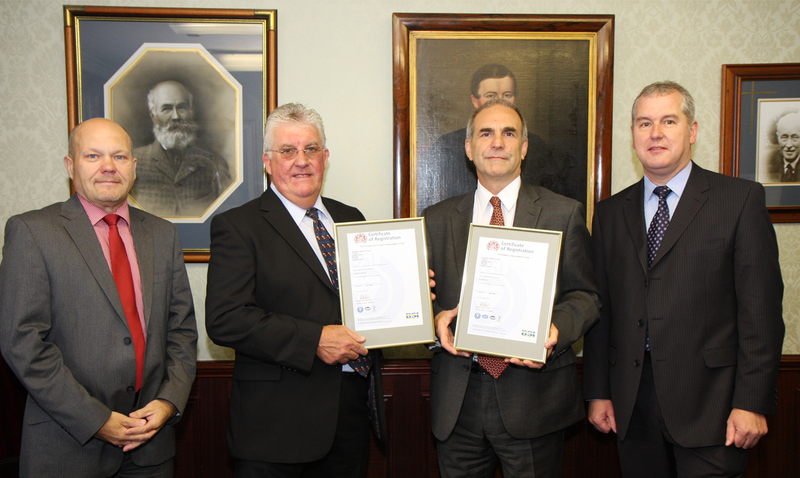 Mr John Kirkman, Area Manager for BSI, recently visited Qualter Hall in Barnsley to officially present both certificates to Mr George Orton, Managing Director (see picture). These are internationally recognised standards of excellence and the accreditations demonstrate that Qualter Hall is fully managing its environmental impact and its responsibilities to the health, safety and welfare of all employees, other stakeholders and the general public, both in the short and long term and that documented operational procedures are in place to achieve this. "We know that we have a social responsibility as an organisation to constantly review the impact we have on the environment. Managing this impact means we are helping the environment, working more efficiently, offering a better service to our customers and ultimately creating a better working environment for employees. Over the years Qualter Hall has displayed sound environmental stewardship by recognising best management and energy conservation practices, pollution prevention and initiatives that are responsive, voluntary and effective. 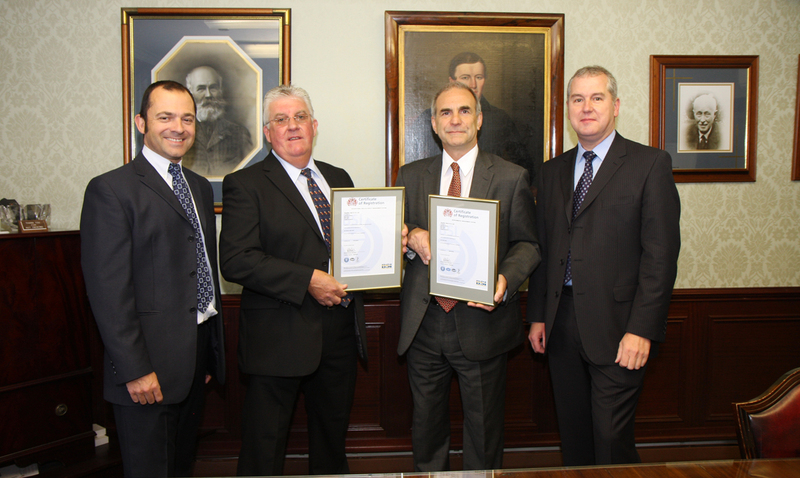 Qualter Hall has always displayed sound health, safety and welfare management, not only by compliance with legislation but also by utilising best practice and the setting of targets and objectives to improve our health, safety and welfare performance. However, in both cases, we decided to take this a step further by appointing an Environmental, Health & Safety Manager, reviewing our practices and creating a plan to manage these effectively, resulting in a detailed documented Environmental Management System and Occupational Health and Safety Management System, which fully comply with ISO 14001 and OHSAS 18001 both in action and word. Both these systems at Qualter Hall encompass the whole company, with its differing functions and wide variety of complex facilities and equipment, and these awards are a credit to all our employees." "Organisations are under growing pressure to keep the confidence of customers, employees, shareholders and a growing array of other organisational stakeholders. By establishing a meaningful framework and embedding responsible decision making into all of its business activities, an organisation has the opportunity to demonstrate good business practice and ethical trading, as demonstrated by Qualter Hall."